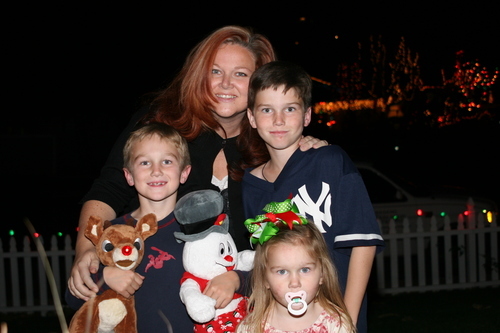 The kids and I about to head off to look at Christmas lights on Winnetka. An annual tradition... 7-11 hot cocoa, all of us dressed in jammies, Christmas music on the iPod, Dan driving up and down all the streets of Candlelight Lane. Best of times!